Prey is a first-person action RPG developed by Arcane Studios and published by Bethesda. 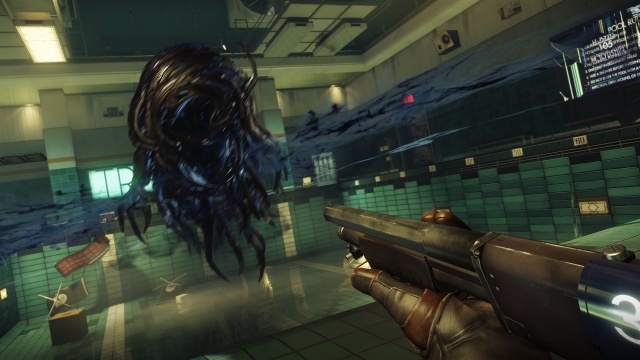 At its core, the game borrows ideas from several other fps games (BioShock, Deus Ex, Half-Life, System Shock) but at the end, the game has its own unique style. I very seldom play games these days where I get super immersed into the overall gameplay and story like I did with Prey. Prey is highly addicting and very replayable. The story starts out with the main character (Morgan Yu) discovering that his memory has been wiped shortly after an attack on the space station that he is on, Talos I. Before long, you're free to explore Talos I and you'll start running into the Typhon aliens that have overrun the space station. Typhon enemies are black gel-like creatures that come in many forms. The majority of the story for Prey is told through text documents and audio files. The game has very few cutscenes in it, putting more focus on the gameplay, which is rather nice since Prey has some fantastic overall gameplay. 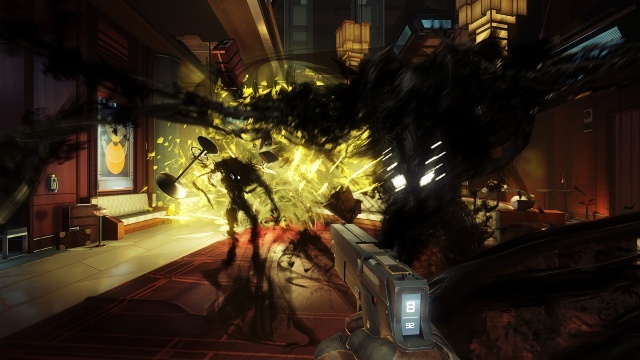 If you're a fan of the latest Deus Ex games, you will transition over to Prey almost flawlessly. The game's basic mechanics borrow quite a bit from Deus Ex. The main character can interact with just about any object and toss the objects at enemies. The upgrade system is just like Deus Ex and even brings over some of the same abilities such as lifting heavier objects and hacking. With the use of neuromods, players can unlock and upgrade their abilities through a skill tree. You start out with basic human abilities and are able to unlock Typhon abilities further into the game. By unlocking Typhon abilities, Morgan will start to become more Typhon than human as you keep building your Typhon powers. Turrets in the game can be planted to shoot at Typhon enemies and they will start to fire at your character should you start to unlock several Typhon abilities. Players have access to some of the more basic weapons that you'll find in first person shooters (handgun and shotgun) and you'll also get unique weapons such as the Gloo Gun and Disruptor taser. One really cool aspect of all weapons is that they all have their purpose and you'll want to hang onto to all of them. I often find that one weapon works better than others in most games but in Prey, every enemy has some sort of weakness that must be exploited in order to take them down easily and if you don't use that weakness then you'll have a very hard time killing them. For instance, one enemy is weak to beam weapons and if you try to blast that enemy with a handgun or shotgun, the enemy will stun Morgan with a status effect even from a great distance. There is also a type of Nerf toy gun (Huntress crossbow) that is useless for enemies but allows players to shoot at door buttons and open a door from a distant window to get inside. Survival is a big part of the game's gameplay early on. I found myself running low on ammo and having to scavenge for health quite a bit as I struggled to familiarize myself with the game's enemies. Prey has a great amount of enemy variety. The most basic Typhon is a mimic that can turn into an inanimate object and hide among other objects in a room. As you might think, this brings up the potential for a very nasty jump scare and it definitely works just as you might imagine. You'll also run across human-like Typhones called "Phantoms" that come in many different varieties and all have unique weaknesses. There are also bigger Typhons and one boss-like Typhon that you'll have to either evade or defeat during a side mission - he appears randomly throughout the station and you'll have to survive for a certain amount of time or defeat him to complete the side mission. The game has a slight stealth system that allows players to duck down and sneak past or hide from enemies, which helps out for early on when you're running low on ammo. Enemies have a bar that slowly builds over their head as they see Morgan and once it fills they go full on aggro. Stealth advantages are really only good for sneaking past battles or gaining a surprise attack for more damage on enemies. Prey has no stealth kills in melee or bullet form so you can't stealth your way through an area like in Deus Ex. The game has a few decisions that you'll have to make in its story and side missions. The most popular decision is a moral choice on whether to save another human or ignore them or intentionally kill them. Early on, you have a choice to save a man that could possibly help you or let a mimic into his room so that the mimic kills him and allows you to gain rare materials off the mimic. There are also parts where you can either kill or stun humans that are mind controlled by a telepathic Typhon. Your choices can affect dialogue and whether a character joins you on your quest or not. There are also multiple ways through some areas, such as finding a hidden access point to enter a room rather than using a key to open a door. You can also hack computers to get access to them instead of finding the password. Prey is a total loot game. No item is completely useless, since all items in the game can be recycled into material that Morgan can use to make other items. Unneeded items can be tossed into a recycler and turned into a variety of different materials based on the type of item. The materials can be used at a fabricator to create new weapons, items and ammo. Plans for different types of fabricator recipes can be found throughout Talos I. Weapons are found throughout the environments in the game as well. You'll find many weapons, rare items and fabricator plans in a variety of areas so you can't miss one if you forget to check one certain area. The game is split up into main missions and side missions. Both mission types contribute well to the story. You'll have a boatload of side missions to perform as the game progresses and you'll want to complete them all since some of them might hold valuable items or weapons. Neuromods are often the reward for completing certain objectives as well. You'll be exploring different sections of Talos I throughout the game and this space station is huge and has a bunch of locations to offer. Past areas will be returned to often in order to unlock new locations in those areas based on new items found or new side missions that have been activated. The exterior of Talos can also be explored while in zero gravity. Morgan's suit allows him to breathe while in zero gravity so you'll be able to float around the exterior of the space station and find items and accomplish new objective on the outside. Prey has some long load times in between area transitions and some bad framerates at times. The game only loads whenever you enter a new area of Talos I and it loads for around a good 2 minutes on the Xbox One version. The load times don't seem bad until toward the end of the game when I had to start rushing through several areas in order to accomplish objectives. I sometimes got some bad framerate issues where the game would slow down to a really low framerate just while simply turning around in a certain room. For the most part, the game runs at a smooth framerate but every now and then, I would get some bad hiccups from doing random things in certain rooms. The multiple endings to the game left the final moments with a lack of closure. I saw two of the endings that the game has to offer and both of them were extremely close to being the same despite the different objectives I had to go through to get each one. The choices that you make throughout the game seem to have very little impact on the ending as well - only some dialogue changes. 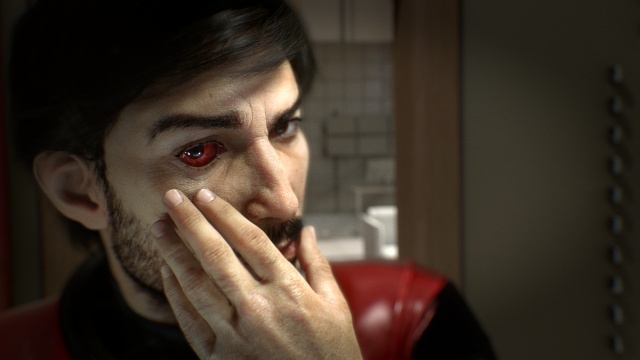 Prey has so much gameplay and objectives to accomplish it takes quite a long time to see what all the game has to offer if you choose to do everything. I didn't do every side mission and the game took me around 37 hours to complete. The game is tense and addicting throughout the entire campaign and it's a joy to play. Despite a few shortcoming, it's definitely one of the best games I have played so far this year and I highly recommend it if you're a fan of first person shooter RPGs such as Deus Ex or BioShock. Final Rating: 85% - If you're a fan of first person shooter RPGs, be sure to give this game a Preythrough.